Melbourne has been ranked by The Economist as the world's most liveable city since 2011, topping the charts in safety, health care, educational resources, infrastructure, and the environment. It’s a culturally rich and vibrant city that isn’t meant for power touring—instead, it’s a city that seems to unfold slowly, partly due to the relaxed nature that seems to come easy to Australians, and partly due to the hidden laneways, rooftops, and hole in the wall coffee shops, and boutiques. For those joining Zendesk at The Future of Customer Experience, be sure to leave time to uncover a few of Melbourne’s treasures. Federation Square. 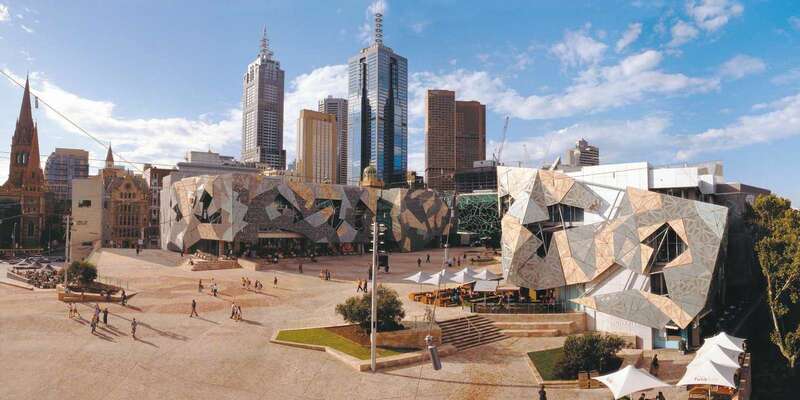 Federation Square on Flinders Street is a creative, architecturally unique space designed for arts, culture, and community events on the edge of Melbourne’s Central Business District (CBD). Explore the space and take in the grandiose view of Flinders Street Railway Station. It’s also great for people-watching, or a stroll along the Yarra River or a riverside meal. Hosier Lane, DeGraves Street and Centre Place. Get “lost” wandering Melbourne’s graffiti laneways such as Hosier Lane, featuring artists like Banksy, the iconic yet anonymous England-based street artist, vandal, political activist, and film director. Then make your way to DeGraves and Centre Place. Often described as having a European flavour, DeGraves and Centre Place are known for art deco architecture, cafe canopies, and numerous bars, shops, cafes, and restaurants. Dabble in Melbourne’s famous coffee culture and alfresco restaurants. Royal Botanic Gardens. What’s a new city without mention of its botanical gardens? Immerse yourself in Australia’s unique flora and take part in the Aboriginal Heritage Walk. Melbourne Cricket Ground. Get involved in local sports culture and catch a game at the MCG. Don’t forget to try the Aussie version of hot dogs: meat pies. Queen Victoria Market. Queen Victoria Market is a spectacle of stalls filled with fresh produce, food, souvenirs, clothing, and more. Even if you don’t need anything, it’s worth seeing for all the bustle and energy. 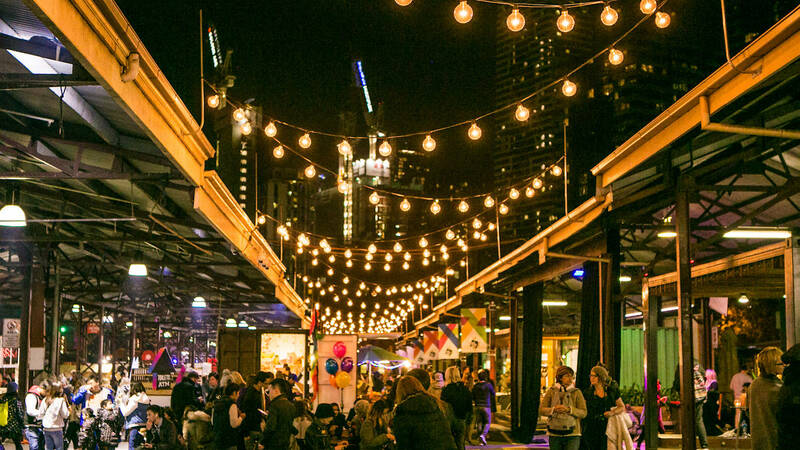 In August, the market opens at night each Wednesday, hosting rows and rows of food stalls, festival bars, and local designers selling art, fashion, homewares, and more. Chin Chin. Chin Chin is one of the most delicious Asian fusion restaurants in Melbourne. The Thai-focused eatery has a dimly lit, lively setting. Make sure to share your dishes family style so you can have a taste of everything. Ponyfish Island. Ponyfish Island is a retro-chic riverside bar with exotic flora and fauna decor. Try a few of their microbrewed ales while soaking up the view of the Yarra River. Naked for Satan. Naked for Satan is a rooftop restaurant and bar with sublime city views. Try their Basque-inspired tapas and pinxtos. 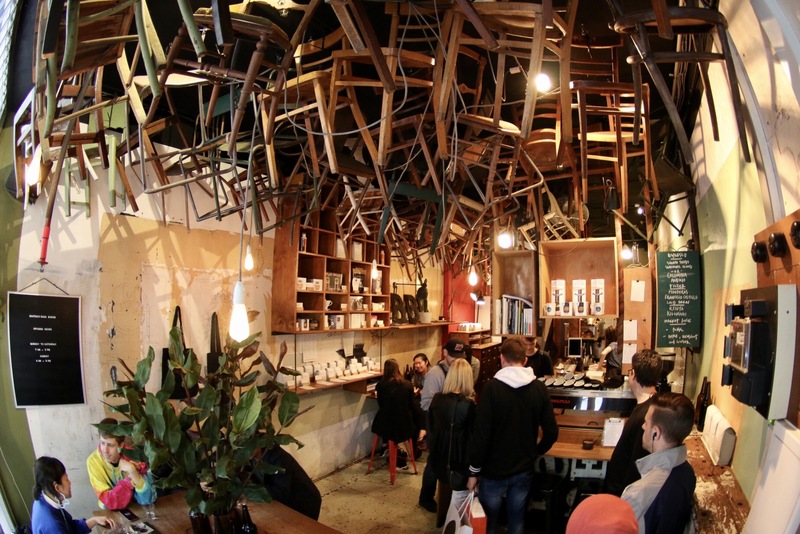 Brother Baba Budan. Melbourne is known for its deliciously brewed coffee. Create your own coffee chronicles and sample as many cafes as you can. My personal favorite is Brother Baba Budan. Don’t forget to try a real flat white. Flat whites have less foam and milk than a latte and more espresso. It’s a double shot of coffee topped up with milk that has been steamed into a micro foam—heaven for avid coffee drinkers. Outside the area. If you have more time, take a day trip to go wine tasting in Yarra Valley, or drive along Great Ocean Road to see Australia’s coastline. Whatever you do, you can’t go wrong in Melbourne.